← If I were to sum up this week of work in an image…. I’ve been crushed lately, so my ds106 assignments have fallen to the wayside, but as I begin to emerge from the crazy—which is all good—I find I am just in time for the design assignments (my personal favorite). What’s more, given all the awesome stuff happening in the community this semester, I know I have to bring my A-game cause these kids are good! In my previous post a tongue-in-cheek response to Jared Stein’s comment gave me the idea for a new ds106 alternative Valentine’s Day card. 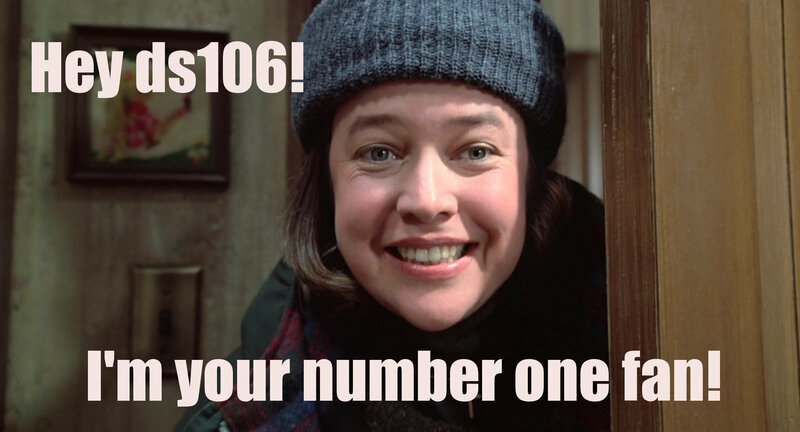 The idea is to take an image of Kathy Bates from Misery and address it to someone letting them know you are their “number one fan.” I’ve been having fun saying “I’m a big fan” to people for the last six months (just ask Andy Rush), so I am trying to see if this localized UMW meme has internet wings 🙂 Either way, it seems good to me cause it fits in with my general mindset these days: I am a big fan of yours! 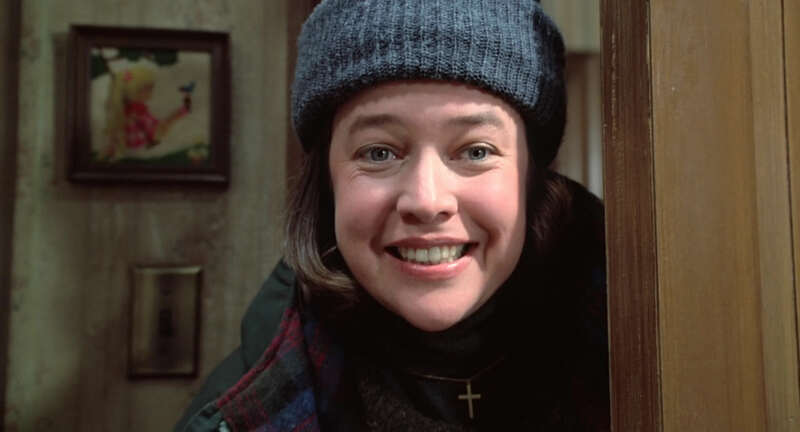 So, in the example above I am officially ds106’s number one fan [cue sledge hammer] 🙂 Get the original image of Kathy Bates here, or find your own, and give the gift of hobbling this Valentine’s Day. This entry was posted in digital storytelling, fun and tagged #1fan, DesignAssignments, DesignAssignments61, ds106, fun, valentine. Bookmark the permalink. This is amazing! Great Valentine idea, though to be honest I’d be terrified if I were to receive it from someone, haha.